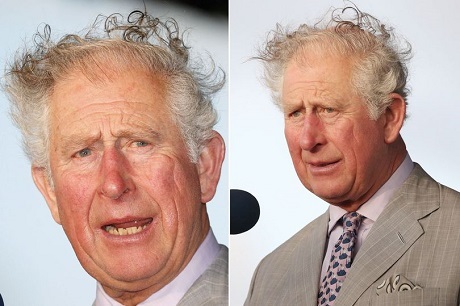 Prince Charles' normally neat hair appeared to be suffering in the tropical heat as he spoke at the start of a 12-day Caribbean tour. The Prince of Wales was pictured with ruffled unruly hair as he spoke during the opening ceremony of his St Lucia vicit. The heir to throne stopped on the island for a few hours before heading on to Barbados where he will meet Camilla.